In January of 1848, 20-year-old Ann Gallager of Boston approached a married friend, Catherine Beath, with the news that she was pregnant. Ann asked Catherine to go with her to Dr. John Stevens to arrange an abortion. "The doctor refused, saying that he was an old man and did not do such things." Ann offered him $50, Catherine said, but Stevens insisted that "he would not do it for all the world." Ann was angry, and went home to try to abort the baby herself. She tried pouring boiling water over tobacco leaves and breathing the steam. She tried drinking some rum in which she had soaked rusty nails. Finally, she tried a knitting needle, which Catherine took away from her. Ann retorted to Catherine that she was going to do the abortion one way or another. She went to Catherine's house to get the knitting needle for another attempt, this time producing some bleeding. By this time, in February, Ann's clothes were getting tight. She tried vigorous exercise and pressing hard on her abdomen with her hands. In March, Ann went to Dr. Stebbins, asking for some abortifacient pills. She described her prior attempts at abortion, including the bleeding after the knitting needle attempt. "I told her if she continued to use the means thus far employed, she would kill herself." As March wore on, Ann took ill. She gave a sworn statement that on March 15, she had gone to Dr. John Stevens for an abortion, which he had done with instruments. Two days later she expelled the dead baby, a boy. Ann's condition continued to deteriorate until her death on March 25. Stevens was arrested, but since the only witness against him was a prostitute who had a reputation as a liar, Stevens was acquitted. Since he had, by Ann and Catherine's word, repeatedly refused to perpetrate the abortion, my own belief is that she implicated Stevens as revenge for those refusals. In 1889, Delia Mae Bell, age 14, lived with her mother, Mrs. McDermott, in Birmingham, Alabama and worked in her mother's dressmaking shop. When Delia took violently ill on a Sunday morning, the neighbors were suspicious. The first doctor called to the scene was L.G. Woodson. He arrived about 6:30 and found Delia in convulsions. He gave her a subcutaneous morphine injection then went to breakfast. When he returned, he found her once again convulsing, so he sent for Dr. W.C. Foster. He took note of the convulsions, and of a suspicious bottle. He called in yet another physician, Dr. W.E. Morris. "All the aids known to medical science were tried without avail, and about 3 o'clock in the afternoon it was decided to resort to an operation." Later, Morris said, "There were hurrying feet in the hallways, and then came a hush over the place. The girl was dead." This was Monday, March 25, 1889. The doctors notified the coroner and turned over a bottle to him that had contained an abortifacient traced to a man named George A. Foule of East Birmingham. Foule was a saloon keeper. He called his potion a treatment for "blood diseases and feminine troubles". At about 11 a.m. on March 25, 1909, 37-year-old homemaker Carrie Pearson died at Ravenswood Hospital in Chicago from septicemia caused by an abortion. On her deathbed, Carrie said that the abortion had been perpetrated by 39-year-old midwife Caroline Meyer of on March 18 at 447 Wells Street. Meyer was held by the coroner but the case resulted in a hung jury. Carrie's death followed the typical pattern of a Chicago abortion death of the era: An abortion performed by a midwife (or physician), followed by admission to a hospital and subsequent death, often after naming the perpetrator in a deathbed statement. During her murder trial in Carrie's death, Meyers was also under indictment for the abortion death of Nellie O'Neill. Homemaker Celia M. Schultz, age 29, died in a Chicago home from septicemia caused by an abortion on March 25, 1910. A woman named Mary Rommell was indicted for felony murder by a grand jury. The source document does not indicate her profession, or that the case ever went to trial. My best guess based on the resources I have at hand is that Rommell was a professional lay abortionist. On March 25, 1916, Angela Raia of Paynter Avenue, Astoria, died, evidently from the results of an abortion. Her husband Ignazio sued two doctors, Harlan E. Linehan and Dennis McAuliffe, for $400, asserting that their negligence had caused Angela's death. McAuliffe joined the military and went to France, moving him out of reach of the suit. Linehan joined a medical advisory board and was busy with his duties at the time the suit was filed. He offered to settle with Angela's husband, saying that he wanted "to relieve himself of the annoyance of the case." Angela's husband took the offer. I've been unable to determine if the doctors had perpetrated the abortion or had failed to provide adequate aftercare or both. If they had been the ones to do the abortion, that would have made it typical of criminal abortions, most of which were perpetrated by doctors. In the spring of 1933, Edward Dettman's 21-year-old girlfriend, Mary Colbert, told him that she'd missed her period and wanted an abortion. Edward took her to Dr. Emil Gleitsman. Afterward, Mary took ill and confided in her aunts. Mary died on March 25. Gleitsman had previously been was indicted for 22-year-old Lucille van Iderstine's abortion death in 1928 and for perpetrating a fatal abortion on Jeanette Reder in 1930. On March 3, 1962, Dr. W.J. Bryan Henrie, an osteopath, performed an abortion on 33-year-old Jolene Griffith at his clinic in Grove, Oklahoma. Jolene developed an infection, and, according to her survivors, Griffith abandoned her and provided no care to treat the infection. On March 10, Jolene was admitted to a hospital in Tulsa. She died there on March 25, leaving behind a husband and three minor children. Henire was conviced, and served 25 months of a 4-year sentence. Upon his release, he went right back to doing abortions. Jolene's abortion was typical of illegal abortions in that it was performed by a doctor. Abortion rights activists continue to revere Henrie, and to totally ignore the fate of Jolene Griffith. At a National Abortion Federation Risk Management Seminar in the 1990s, Michael Burnhill of the Alan Guttmacher Institute scolded Lichtenberg for "playing Russian roulette" with patients' lives by performing risky abortions in an outpatient setting and treating serious complications on site in his procedure room rather than transporting them to a hospital. Evidently Lichtenberg chose not to listen to Burnhill's warning. On March 25, 2000, 22-year-old Maria Rodriguez went to Steve Lichtenberg's Albany Medical Surgical Center, a National Abortion Federation member clinic in Chicago, for a late second trimester abortion. Lichtenberg estimated her pregnancy at 18 weeks and went ahead with the what a later expert consultant called "a seemingly uncomplicated (albeit short) procedure." At about 9:00 a.m., Maria was showing signs of shock from hemorrhage. The expert consultant pointed out that Lichtenberg had failed to notice that he had ruptured Maria's uterus. Lichtenburg flushed out her uterus with a dilute solution of Vasopressin, a hormone used sometimes to control bleeding. He also had pressure applied to her uterus. But, the consultant noted,"At no time were further attempts made to ascertain the cause of the bleeding or to explain the discrepancy between the marked decrease of hematocrit and the seemingly moderate blood loss." Lichtenberg diagnosed DIC, a clotting disorder caused by triggers such as amniotic fluid in the blood stream. He started treating Maria with Fresh Frozen Plasma (FPP) at 9:34. Her hematocrit continued to fall, and she was showing abnormal EKG readings. Her heart was racing and she was continuing to bleed. She wasn't given a transfusion, or transported quickly to a hospital so that a transfusion could be administered there. Lichtenberg also didn't administer any additional medications to help control Maria's bleeding. At around 10:15 a.m., Maria appeared to have been somewhat stabilized, but "no attempt was made to determine the cause of the bleeding with ultrasound evaluation" or to tie off the bleeding artery. By 10:30, her hematocrit had fallen to 15%, meaning she had less than half the red blood cells needed to carry oxygen to her brain. Finally, an hour and a half after Maria suffered her life-threatening injury, and an hour after Lichtenberg had diagnosed the dangerous clotting disorder, it occurred to somebody to call 911 and have Maria taken to a properly equipped hospital. By the time she arrived there, her hematocrit was 3.5%, less than 10% of what it should have been. Doctors at the hospital tried to save her, to no avail, she died that evening, leaving behind a four-year-old daughter. 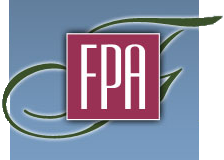 Other women to die from abortions at FPA facilities include Denise Holmes, Patricia Chacon, Mary Pena, Josefina Garcia, Lanice Dorsey, Joyce Ortenzio, Tami Suematsu, Deanna Bell, Susan Levy, Christina Mora, Ta Tanisha Wesson, Nakia Jorden, Maria Leho, Kimberly Neil, and Chanelle Bryant.